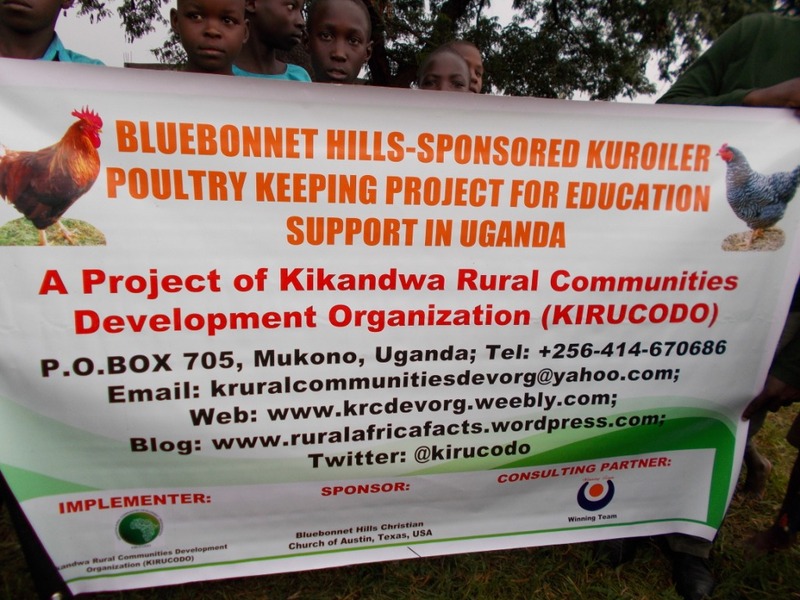 Some months back, we delivered 50 one-month old Kuroiler chicks to St. John Kaama Education center in Nakifuma, Mukono under the sponsorship of Bluebonnet Hills Christian Church of Austin, Texas, USA. 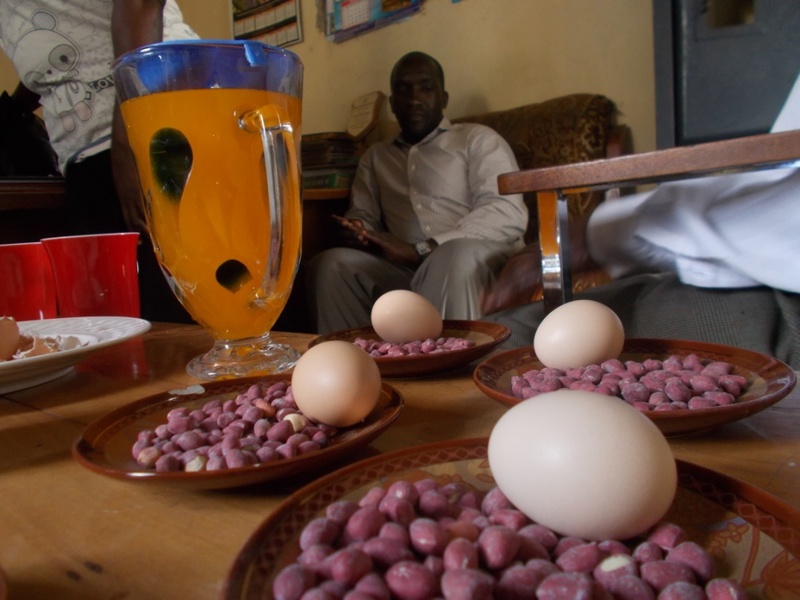 Today the hens are now laying eggs and we were able to enjoy the first eggs when we visited the school last Tuesday on 30 June 2015 as you can see in the photo below. 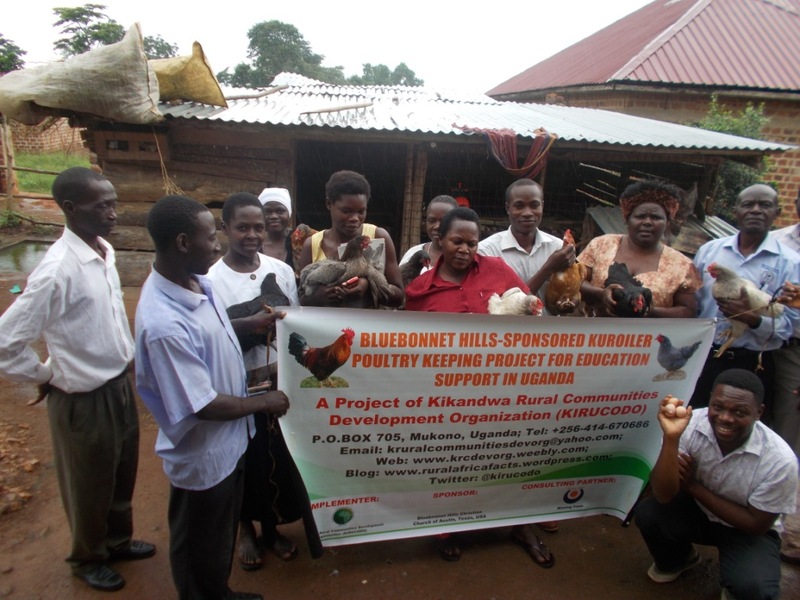 This month on 18 June, 2015, we managed to deliver 50 one month old Kuroiler chicks to Wesige Mukama Primary School Nakasongola District here in Uganda. The school is more than 100 miles away from our offices and it offers education services to the most needy children from very poor families. The school has been supported with scholastic materials from Bluebonnet Hills Christian Church of Austin, Texas, USA. The chicks WE DELIVERED to this school will be multiplied by hatching when they begin laying eggs and then the new chicks will be distributed to teachers, parents and children just like we do elsewhere like in Kibiribiri Church of Uganda Primary school and St. John Kaama Education Centre. This project is currently sponsored by Bluebonnet Hills Christian Church of Austin, Texas, USA and it is getting implemented by Kikandwa Rural Communities Development Organization (KIRUCODO). This project is aiming at supporting the education of poor rural children, eradicate poverty and improve nutrition for poor rural communities in Uganda.